We have the solid basis of a skirt – but it just needs a little tidying up! Today we're going to finish the waistband to hide all the raw edges, and neatly take up the hem. Let's get started. Fold half the waistband in toward the inside of the skirt. Fold the seam allowance in along the zip edges and pinch in place. You can pin at this stage, to keep your fold stable while you work. 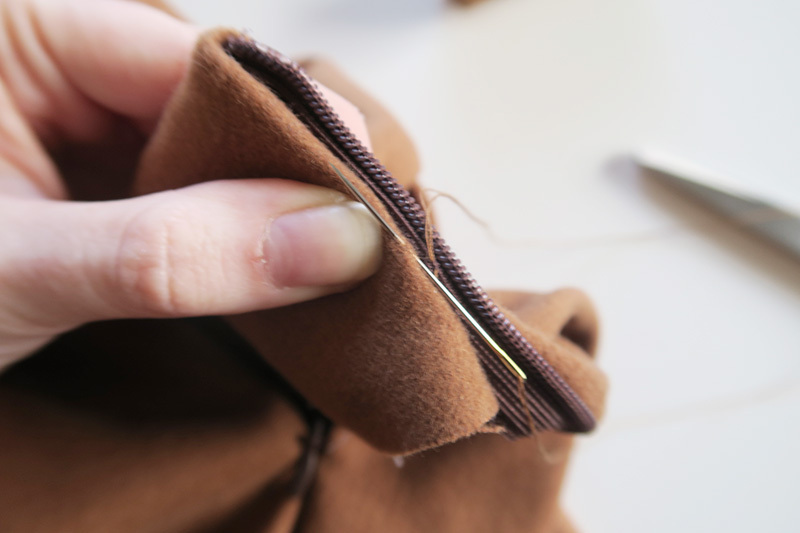 Using a slip stitch, attach the waistband to the zip tapes along the inside edge. To slip stitch, catch the fabric of the waistband with a tiny, tiny stitch, then catch the zip tape repeatedly until secure. Start slip stitching 15mm from the bottom edge of the waistband, moving up toward the top of the zip. Now you have a neat and tidy zip edge, but we can still see the raw edge of the waistband all along the inside of the skirt. Fold the raw edge of the waistband up, so that it's hidden inside the top of the skirt. Pin in place. Using a slip stitch once again, attach the waistband to the skirt. Be careful that your stitches don't show through on the right side of the skirt. I find it useful to stitch into the thicker, gathered areas of fabric around the seam of the waistband – it makes the hand stitching very stable and avoids visible stitches on the right side. 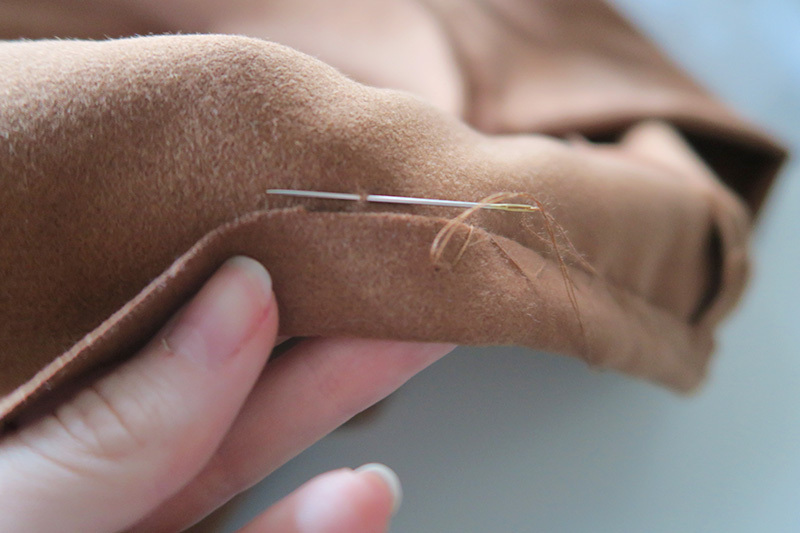 Fold your hem up to the desired length and pin in place. I like the mid calf length on the Amy skirt, but you can really do as you wish! I'm a little traditional and much prefer a hand sewn hem. I think it gives a lovely, neat finish; and there's something meditative about a spot of hand sewing! Slip stitch your hem in place, alternating one stitch in the hem allowance and one (tiny! almost invisible!) stitch in the garment fabric.